It has been quite a week. I decided to once again be upbeat here in my "Random Thoughts" despite a challenging one I was witness to and our team at the Daily Outsider reflected upon. The need to be hopeful is ever so. My grandmother's Family is the Gharib Family, one of the most prominent families in Iran. 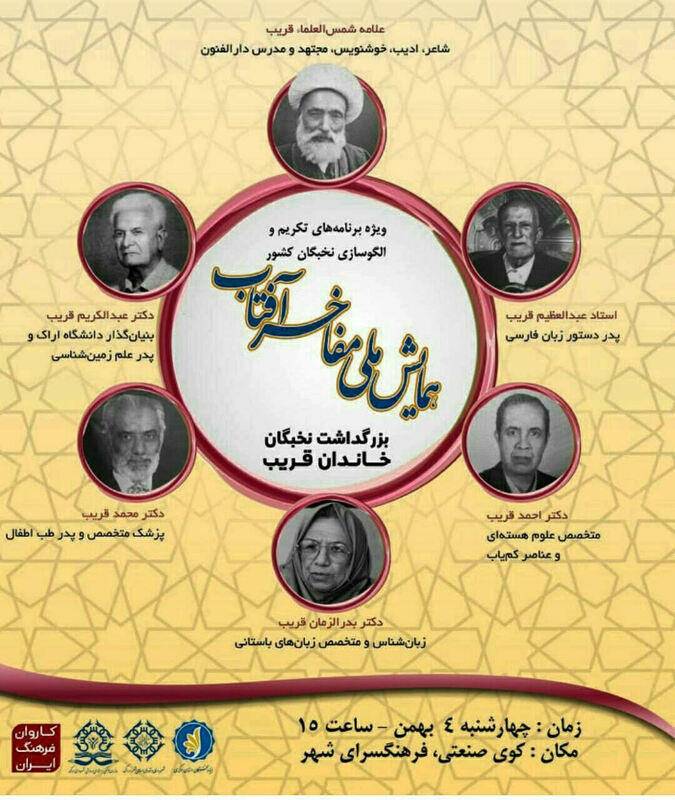 These six leading figures of the Family were honored recently in Tehran. For me, there was a personal connection as when we were living in Iran, My Mother took me to Dr. Mohammad Gharib who was the founder of Modern Pediatric Medicine in Iran and he immediately diagnosed my on-going coughing issue --something that Doctors in the United States could not cure. Other leading members of the family have been prominent in Science, culture and the languages.